Silkair, the regional wing of Singapore Airlines, is adding two new destinations to its network and going all out to promote these destination. 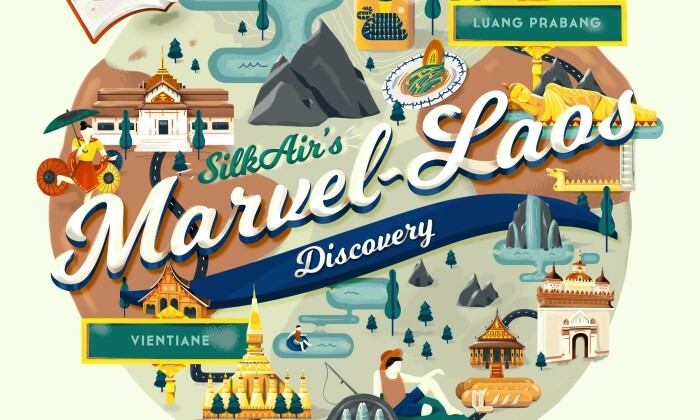 As part of the marketing efforts to promote the two new destinations, Silkair together with Tribal Worldwide Singapore, its creative agency partner, launched an Instagram campaign called “Silkair’s Marvel-Laos Discovery”. The campaign will bring users on a five-day virtual tour of Laos, through 14 images and 135 unique captions linked together through tags across 15 Instagram accounts. Users will simply have to tap on the images, follow the tags and be transported to the next attraction. All 14 attractions will be released over a span of five days, where 20 return Economy class flight tickets to either Vientiane or Luang Prabang will be up for grabs during the campaign period. Users will need to find the hidden tickets, and answer questions about the attractions for a chance to be on Silkair’s inaugural flight to Laos. Users will able to use Instagram’s newest zoom feature to find hidden tickets for a chance to get away on Silkair’s inaugural flight to Laos. The campaign, which runs from 21 to 25 September 2016, seeks to raise the awareness and knowledge about the country. After serving more than four years as general manager of Microsoft Hong Kong, Horace Chow will be appointed as chief operating off.. The company is reinventing the way it sells. ..